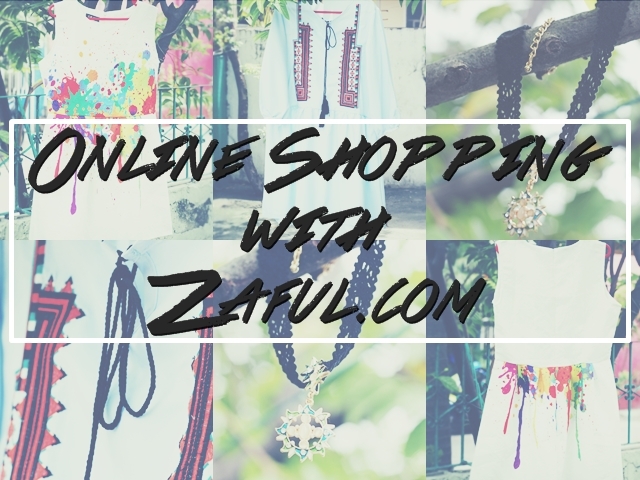 Today, I will show a few items I selected from Zaful.com. I got two dresses and a choker. Zaful.com has a lot of variety of clothes, bags, shoes and accessories. It took me a few hours before finalizing my items. I also love their off shoulder and maxi dresses. I got the simple dresses that I could wear in the office. The size I choose was XL hahaha to be sure, I am not skinny obviously. I am happy that both of my dress fits right especially in the shoulder. I need few alteration for the blue dress because in the waist part it is too loose or I could wear a belt. The delivery of the product was fast too. I thought it will take 15 to 30 days. It took them more or less a week to deliver it at my house. That will be a plus points!